But for all of the benefits of a more inclusive history, as Peter Coclanis suggests, a strict Atlantic focus anachronistically tends to ‘give too much weight to the Atlantic Rim,’ artificially separating ‘Northwest Europe too sharply both from other parts of Europe and from Eurasia as a whole’. The effect of this has been the orientalisation of early modern Eastern Europe and, especially, Russia. As Coclanis points out, however, some of early modern Europe’s most important commercial activity was ‘not the long-distance trades with the Americas or even Asia for that matter’. Rather, it was often the ‘less glamorous Continental trades … linking southern Europe to northern Europe, and eastern Europe to the west.’ One of France’s earliest external ventures, for instance, was Henry IV’s North Pole Company, which developed an Arctic whaling industry around Greenland and Spitsbergen, and, for much of the eighteenth century, Britain’s trade in flax, hemp, and linen from the Baltic was essential to the production of the woven materials that clothed slaves on plantations in the West Indies. 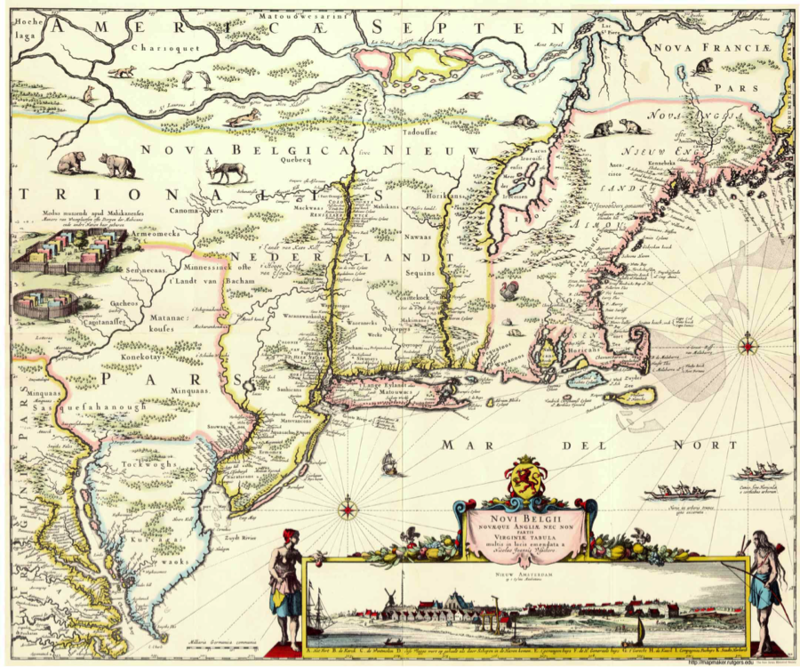 Even Richard Hakluyt, one of the earliest proponents of English settlement in North America, was connected by family to the Elizabethan Muscovy Company’s eastern trade. 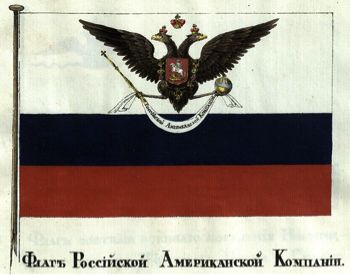 Flag of the Russian-American Company, 1835. More importantly, though, it was through external ventures very similar to early Western European expansion that Russia projected itself into the New World. After occupying the eastern limits of the Eurasian continent in the late seventeenth century, between 1729 and 1741, the Russian Crown sponsored a series of expeditions around the Pacific Rim and down along North America’s western coastline with the intention that Russia could ‘extend its possessions as far as California and Mexico’. In the 1760s, the Spanish ambassador at St. Petersburg complained of Russian encroachments on Spanish settlements as far south as Baja California, and, in 1799, the Russian-American Company was chartered with a twenty-year monopoly over the Aleutian and Alaskan fur trade, the products of which went mostly to China in return for porcelains, tea, and silk. The Russo-American and Russo-British Treaties of 1824 and 1825 subsequently recognized Russian claims above the parallel of 54º 40´ north, and Russia maintained a presence on the American continent until selling Alaska to the United States for $7.2 million in 1867. Russian activity in the northern Pacific was little different from that of Western European expansion into the Atlantic. 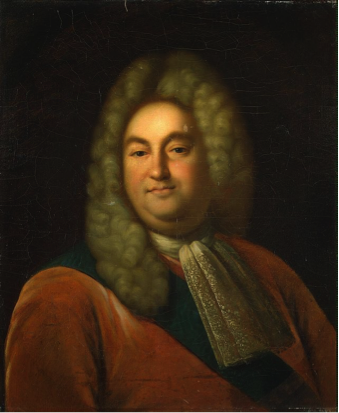 Baron Peter Pavlovich Shafirov (1670–1739), vice-chancellor under Peter the Great and chief translator for the Russian foreign office. Imperial Russia’s external ventures were directed by the same Law of Nations that governed the foreign relations of early modern Western European monarchs. Influential members of the court of Peter the Great—such as Andrey Matveyev, one of Russia’s first ambassadors to England and the Netherlands, and Vice-Chancellor Peter Shafirov—owned copies of Hugo Grotius’s Freedom of the Seas (1609) and The Rights of War and Peace (1625), as well as Samuel Pufendorf’s Law of Nature and Nations (1672). Peter the Great’s son, the Tsarevich Alexei, was even taught the Law of Nations through Shafirov’s manuscript translations of those texts. Grotius’s work, in particular, remained central to the Russian study of international law well into the twentieth century. Friedrich Martens, the Russian diplomat who helped to organise the Hague Conventions of 1899 and 1907, held a high opinion of Grotius’s work, and, in Soviet Russia, Grotius was esteemed as ‘a founder of the new progressive bourgeois legal science’ that was so necessary to the development of socialism. Although Grotius upheld the right of individuals to own, derive income from, and alienate private property, early Soviet jurists concluded that ‘these views reflected the requirements of the bourgeoisie in the historical period when it, as the leading class, united opposed elements of society for the struggle against feudalism.’ Insofar as the early modern bourgeoisie sought ‘to create the conditions for consolidating the capitalist order, it did not raise the issue of territorial conquests for itself and opposed, as a rule, feudal wars which were alien to its interest and onerous in their consequences.’ As such, ‘the domain of international law set out by ideologies of the bourgeoisie, including Grotius’, was deemed sufficiently progressive to be retained by the makers of Soviet foreign policy. By moving beyond the exclusionary Cold War paradigm of the Atlantic World and embracing recent trends in global history, then, historians can better contextualise the many and diverse European claims to the New World as part of an emerging system of international law. As the present crisis in Ukraine continues to strain diplomacy between post-Soviet Russia and the West, threatening a slide back into Cold War geopolitics, scholars would do well to remind readers of the longstanding interconnectedness between these two regions, as well as of the vital importance of cultural and intellectual exchange between nations. Bernard Bailyn, The Ideological Origins of the American Revolution (Cambridge, Mass., 1967); Gordon S. Wood, The Creation of the American Republic, 1776–1787 (Chapel Hill, N.C., 1969); J.G.A. Pocock, The Machiavellian Moment: Florentine Political Thought and the Atlantic Republican Tradition (Princeton, N.J., 1975); Gordon S. Wood, Empire of Liberty: A History of the Early Republic, 1789–1815 (New York, 2009). David B. Quinn, “Norse America: Reports and Reassessments,” Journal of American Studies 22 (1988): 269–273; David Steven Cohen, “How Dutch Were the Dutch of New Netherland?” New York History 62 (1981): 43–60; Stephanie Grauman Wolf, As Various as Their Land: The Everyday Lives of Eighteenth-Century Americans (New York, 1993); Bernard Bailyn, The Barbarous Years: The Peopling of British North America: The Conflict of Civilizations, 1600–1675 (New York, 2012). David Armitage, “Three Concepts of Atlantic History,” in The British Atlantic World, 1500–1800, ed. David Armitage and Michael J. Braddick, 2nd ed. (New York, 2009), 16. Peter A. Coclanis, “Drang Nach Osten: Bernard Bailyn, the World-Island, and the Idea of Atlantic History,” Journal of World History 13 (2002): 176. David Hackett Fisher, Champlain’s Dream (Toronto, 2008), 70–71; Rusty Bittermann, Sailor’s Hope: The Life and Times of William Cooper (Montreal, 2010), 16–17. Lauren Benton, “The British Atlantic in Global Context,” in The British Atlantic World, 277. Mark G. Spencer, David Hume and Eighteenth-Century America (Rochester, N.Y., 2005), 301–423; David Hume, Essays and Treatises on Several Subjects (London, 1758), 125. Gertrude Himmelfarb, The Roads to Modernity: The British, French and American Enlightenments (London, 2008), 163–164, 177; Inna Gorbatov, Catherine the Great and the French Philosophers of the Enlightenment: Montesquieu, Voltaire, Rousseau, Diderot and Grimm (Palo Alto, Calif., 2006). Henry F. May, The Enlightenment in America (New York, 1976), 217. Alexis de Tocqueville, Democracy in America and Two Essays on America, trans. Gerald E. Bevan (New York, 2003), 484. Alan Taylor, American Colonies (New York, 2001), 446–454. W.E. Butler, “Grotius’ Influence in Russia,” in Hugo Grotius and International Relations, ed. Hedley Bull, Benedict Kingsbury, and Adam Roberts (Oxford, 1990), 257–266. Robert Legvold, “Managing the New Cold War,” Foreign Affairs, 15 June 2014; Simon Tisdall, “The new cold war: are we going back to the bad old days?” The Guardian, 19 November 2014; Susan Richards, “The west talks about a new cold war. For Russians it has already started,” The Guardian, 14 May 2015. Thanks for a great post, Adam. There’s much I’d like to say in response to this, both in praise and in criticism of some of the arguments that you’ve advanced, but I’ll restrict myself to a comment in each vein. First, in praise, I generally support the trend towards global history and favour any and all efforts to broaden the study of European colonisation of the Americas beyond the colonies of the big three of England/Britain, France, and Spain. Russia’s colonization efforts in the eighteenth century are part of the North American story, as are those of Sweden on the Delaware River in the 1630s and 1640s and those of Brandenburg Prussia and Courland in the Caribbean in the 1680s and 1690s. You’re almost certainly right that looking westward from Europe has seen British, French, and Spanish early modern history become ever more entangled with the Americas, at the expense of their interactions with the rest of their home continent, but I would proffer that this is principally because the most prominent proponents of Atlantic history tend to be eastward-looking students of European colonies in North America, rather than students of the metropolitan states themselves. Second, in criticism, I’d like to venture that the version of Atlantic history you are arguing against here – which you describe as “the exclusionary Cold War paradigm of the Atlantic World” – should be unrecognizable to its modern adherents. Bernard Bailyn famously rooted the Atlantic World in the Cold War and the growing power of NATO, but as others wiser than me have pointed out, Charles Beard was writing a variant of what we today might call Atlantic History in the 1930s, and his work is cited as an inspiration for the field in many places. Moreover, the lifespan of Atlantic History as a predominantly North Atlantic conceit was pleasingly brief, as many excellent monographs took great pains to include Africa and the slave trade under the Atlantic umbrella in the 1990s. I’d argue that the study of New World slavery and its attendent intercultural relationships between Africans, Native Americans, and Europeans is rivalled only by studies on the American Revolution (with considerable overlap between them) in terms of depth of analysis and volume of output by modern Atlantic historians. In fact, it is this point that I think calls into question your claim that “Russian activity in the northern Pacific was little different from that of Western European expansion into the Atlantic.” Russians never engaged in the mass incarceration and transportation of slaves to the Americas from Africa in anything like the way merchants from England, France, Spain, Portugal, and the Netherlands did in the eighteenth century. That’s not to say their imperial ventures were less important, or somehow less worthy of study than those undertook by Western European nations. It’s only to point out that if anything defines the particular *Atlantic* character of Atlantic history these days, it is slavery and its political, economic, and cultural consequences for the New World and the Old. All of that said, I think you draw our attention necessarily to the ways in which Russian colonization efforts mirrored those of Europeans in interesting ways, from their reliance on joint-stock companies to establish the vanguard of settlement colonies through to their similar legal understandings of territorial sovreignty and oceanic law. I’ve found in my own research into the Scottish Darién colony that such approaches typified how latecomers to the colonial game extended and defended their imperial spaces, and helped force the more established colonial powers to formalize and justify their own claims in the New World. Thanks for your insightful and detailed response, Craig. I certainly agree with your comments on the quantity (and quality) of scholarship on slavery, race, and intercultural relationships in the New World as a central feature of contemporary Atlantic history. As a student of political history, however, I’ve been drawn to identifying the larger, global power structures that have defined the discipline. In the realm of white settler political and intellectual history, unfortunately, the impact of global ideological dynamics has not changed much in recent decades. Only with the greater prevalence of global history have we seen alternatives to the traditional Western-dominated narrative, and there are still those resisting such trends. While you’re correct to point out that “Russians never engaged in the mass incarceration and transportation of slaves to the Americas” in anything remotely close to that carried out by the Portuguese, Spanish, Dutch, French, and British, Russian expansion mirrored that of Western Europe in other ways: as you mention, joint-stock companies and similar legal understandings of sovereignty and space. I find the latter particularly interesting. European claims to space beyond a monarch’s immediate realm were legitimated by a crown’s external sovereignty and bound by international treaty. In this, the Pacific world was hardly different from the Atlantic. But Russians were not entirely unlike other Europeans in their relations with the peoples and the environment they encountered in the New World. Similarly to the French, they relied on aboriginal labour to trap most of their furs; however, unlike the French, who tended to trade for such products, Russians simply obtained them by force in a manner resembling the tribute in precious metals extracted in Spanish America. This system created patterns of violence and environmental damage in Russian America that very much conformed to the Atlantic model of colonization.